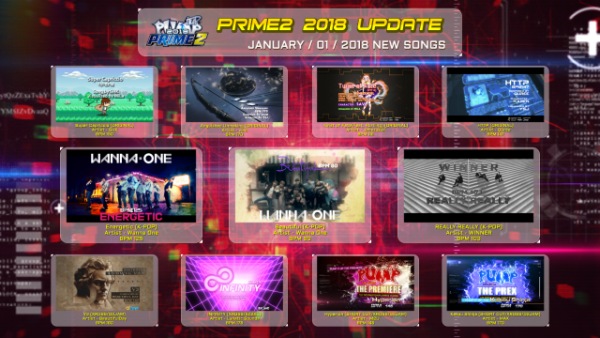 We would like to notice the official update of PRIME2 2018, 2.00.0 version. New avatars have been added. New avatars can be found on the avatar menu of the PIU official hompage (www.piugame.com) item shop. Some graphics have been changed for PRIME2 2018.